Can students update their passwords? Yes, students like all other users of the system can update their passwords. Teachers and administrators have access to see the student's password, so they can help students should they forget their password. It is highly recommended that students do update their passwords and that common passwords are not used across your student population. Students like other users can change their password by logging into their account. Then selecting the "My Account" menu option which will allow them to change their password. 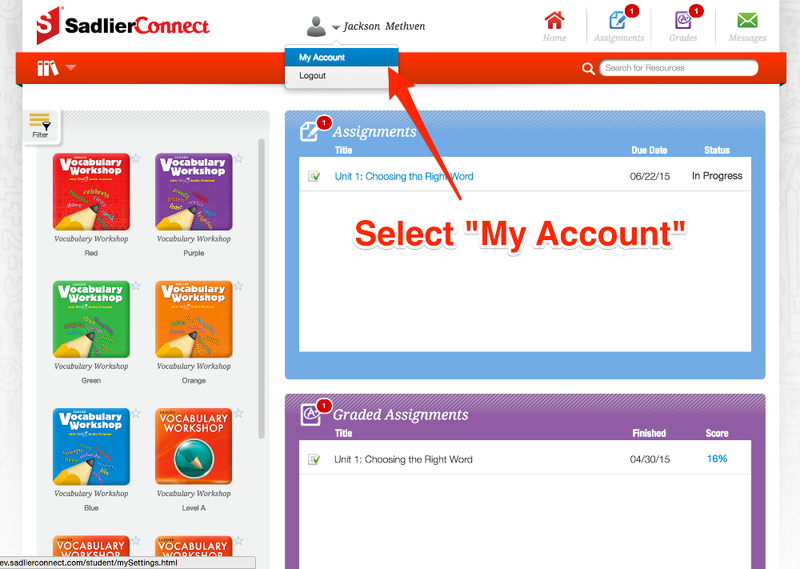 If your school has an integrated single sign-on or nightly feed of rostering information with Sadlier Connect, then the students will not be able to update their passwords in Sadlier Connect. The information should be updated in the source system and those password changes will show up in Sadlier Connect when those updates are processed.